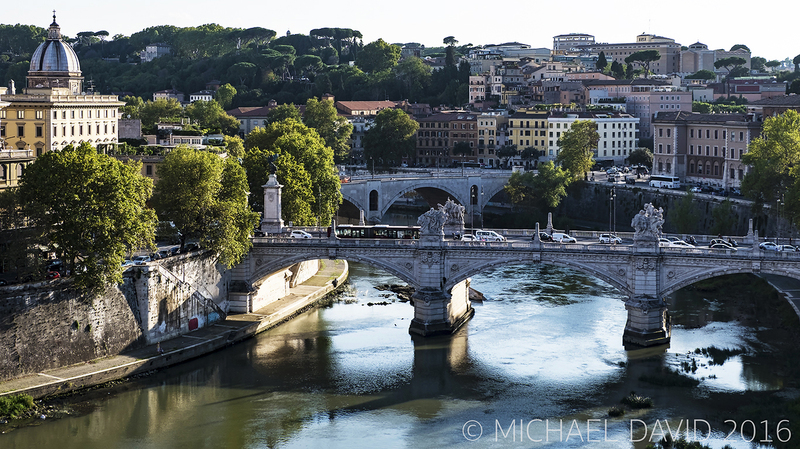 So I recently returned to Rome, to re-discover its charm – and I wasn’t disappointed. Rome is a large city yet it feels intimate and it is very easy to get around and see – and happen upon, many of its most famous attractions. I stayed on the Via Arenula just 15 minutes away lies the historical centre, including Capitoline Hill, the Forum, Altere della Patria (war memorial) and the Colosseum. I started each day with a walk to a lovely cafe just close to Piazza Venezia and from there a brief walk past some of these ancient sights, before starting my day. I couldn’t quite get over how near they all were yet conversely how many things there are to do in Rome and how long you’d need to achieve all of this! 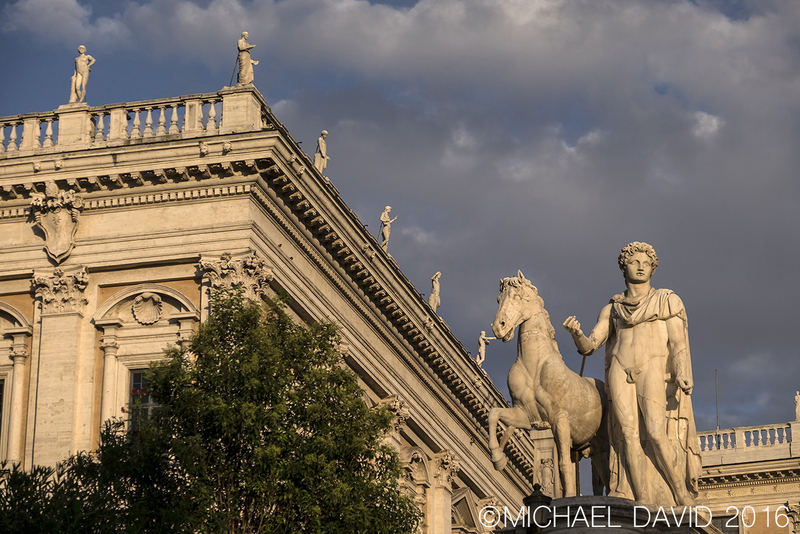 Rome is full of wonderful and historic architecture and sculpture and really comes alive in the ‘magic hour’ before sunset. 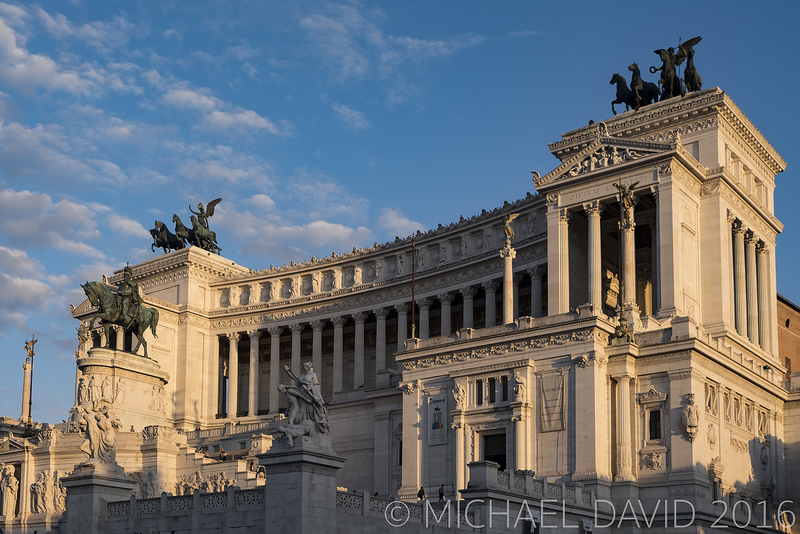 The light is warm and bathes everything, such as the Altare della Patria. 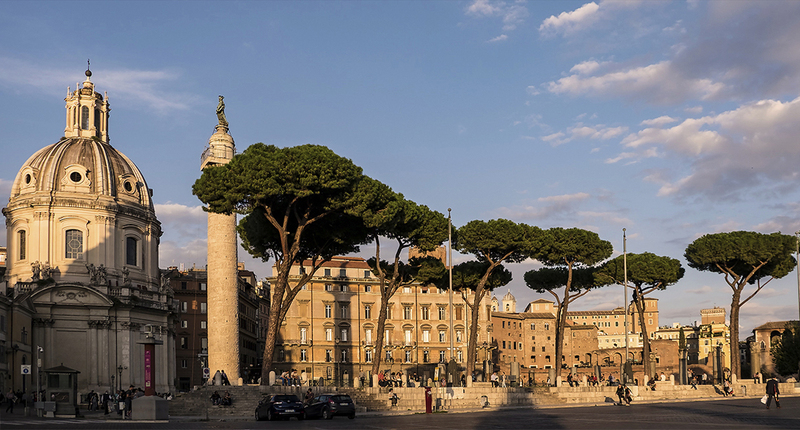 also known as the Monumento Nazionale a Vittorio Emanuele II (“National Monument to Victor Emmanuel II”) it was built to honour Victor Emmanuel, the first king of a unified Italy. It is also often referred to as ‘the wedding cake’ and enjoys something of a love/hate relationship with Romans. 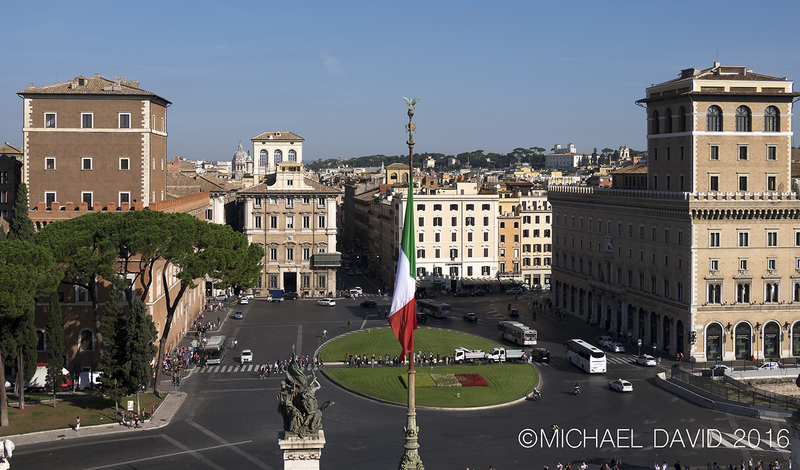 Piazza Venezia viewed from the top of the Altare della Patria – the epicentre of Rome is incredibly busy and buzzing. From here you can pretty much walk to any of the major historical attractions in the city. The Vatican is about a 30-45 minute walk from here. 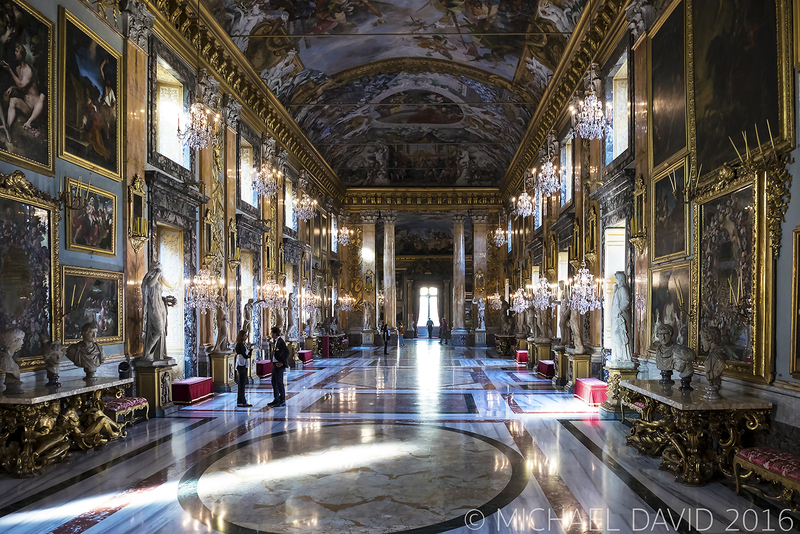 There is a hidden little gem near to Piazza Venezia which is a must-see – the Galleria Colonna. 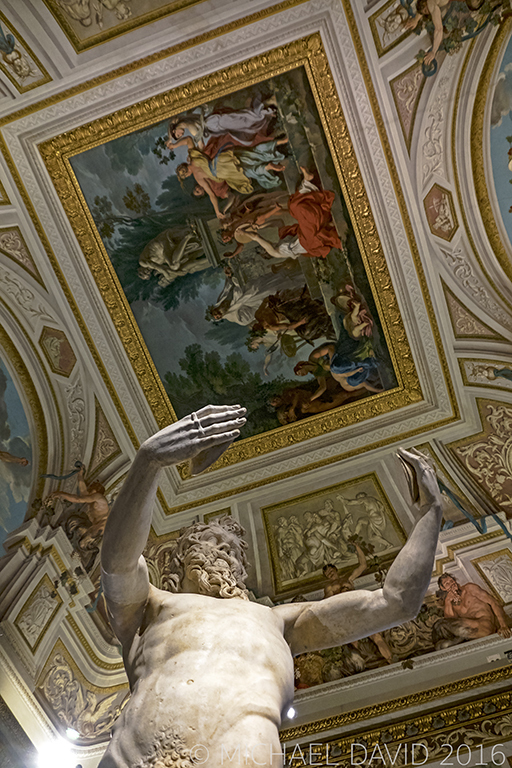 This stunning gallery is in the Palazzo Colonna and has belonged to the prestigious Colonna family for over twenty generations. Behind the Altare della Patria is the Forum and very close by, the Colosseum. 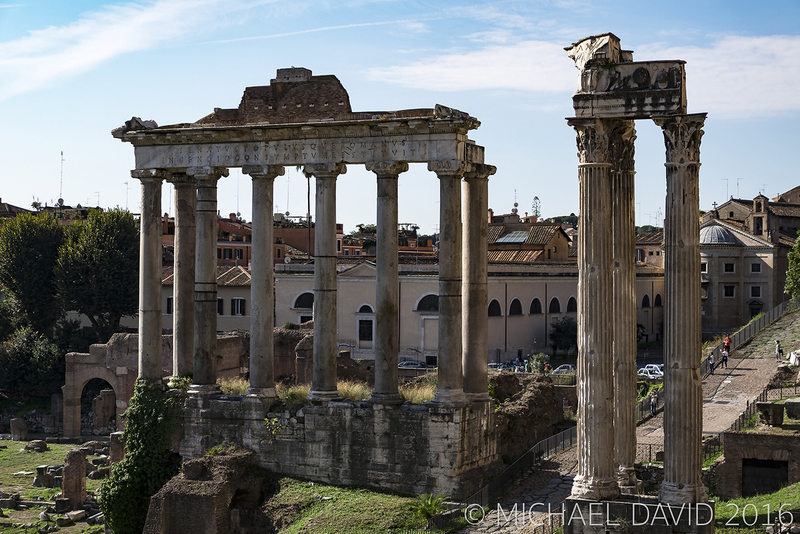 The epicentre of ancient Rome, the Forum is sited in the small valley between the Palatine and Captoline Hills and is a sprawling ruin of architectural fragments and archaeological excavations attracting some 4.5 million sightseers each year. The Colosseum is the largest amphitheatre ever built. Construction began under the emperor Vespasian in AD 72 and was completed in AD 80 under his successor and heir Titus. 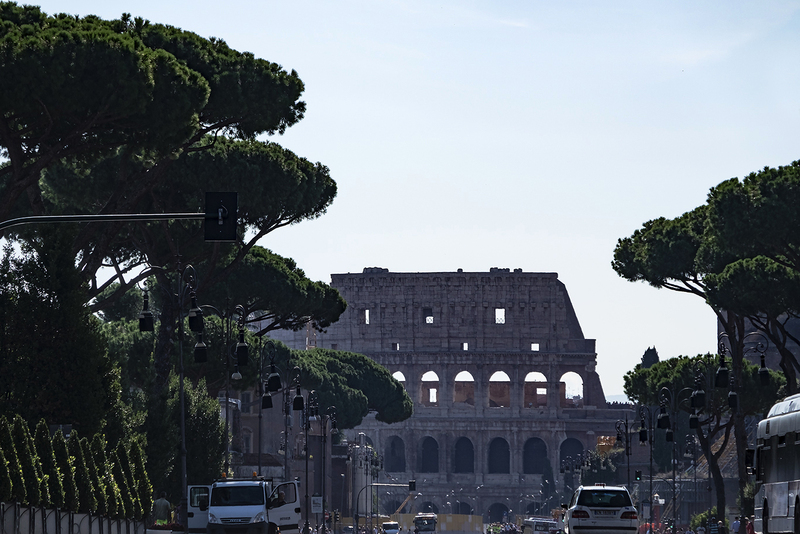 In its heyday it could hold up to 80,000 people and is an iconic symbol of Rome. It is very easy to write a shortlist of top places to visit and plan a route that will take you to all of them – many in close proximity to each other. Iconic sights such as the Spanish Steps and Trevi Fountain are pretty close to each other. My one recommendation would be to arrive early – as I did, as these get very quickly crowded. 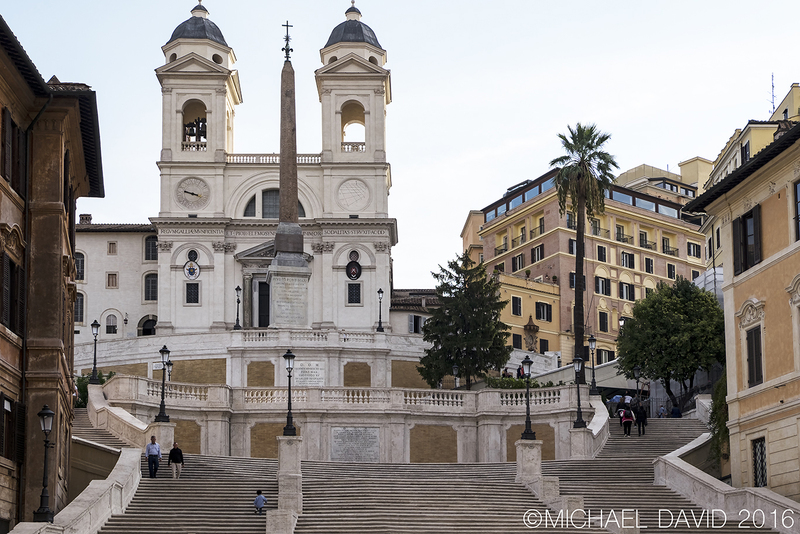 The Spanish Steps – all 138 of them, link the Piazza di Spagna with the church of Trinita dei Monti and were constructed in 1723 by Francesco De Sanctis. 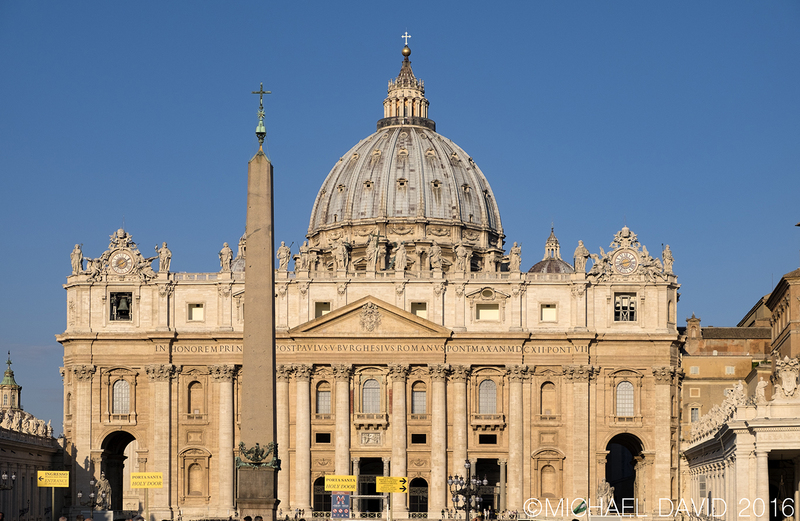 They derive their name from the Spanish Embassy to the Holy See which was located in the piazza. 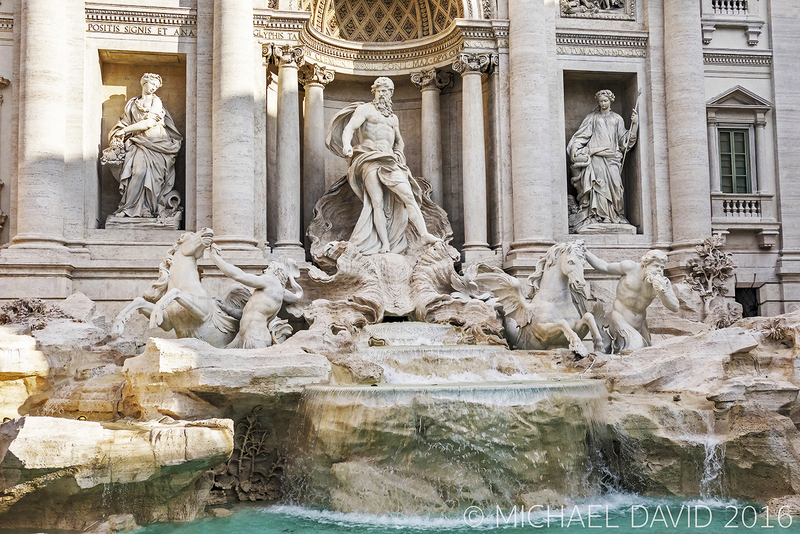 The Trevi Fountain – baroque in style, was designed by Italian architect Nicola Salvi and completed by Pietro Bracci – it was begun in 1732 and completed in 1762. The fountain has appeared in several films, most notably Fellini’s La Dolce Vita. Your challenge is to photograph both without any people there at all! These images were taken fairly early in the morning and the sun had yet reach these famous creations great location – so the light is soft and subdued. In the middle of my stay I had accepted a very generous offer to be a lunch guest at the Baglioni Hotels exquisite Regina Hotel, in central Rome. One of the capital’s oldest and grandest establishments, I was greeted by the charming general manager Massimo – a superb host and great company over a wonderful lunch.. 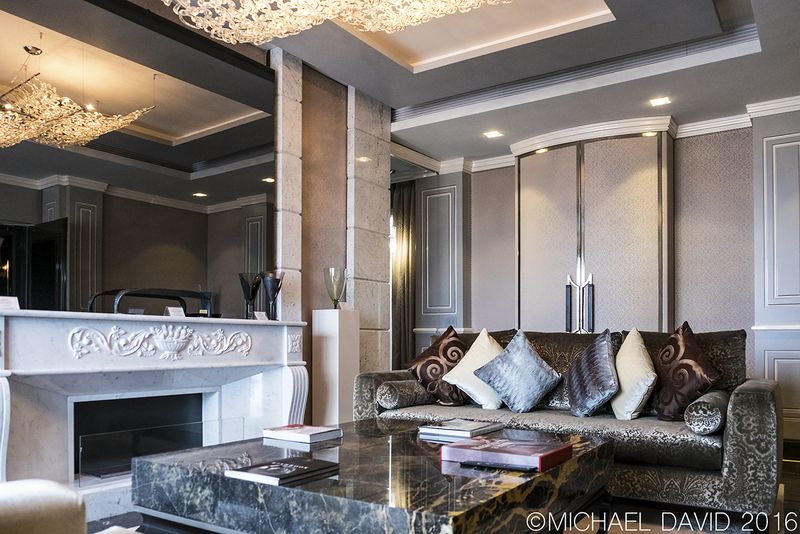 He told me how proud he was to be in charge of such an iconic hotel in one of the greatest cities and also took me on a brief tour of the stunning penthouse suite (sadly, I did not stay there!). Amazing 360 degrees views from its roof terraces are matched by elegant yet luxurious rooms – it was all incredibly impressive. One day perhaps…! 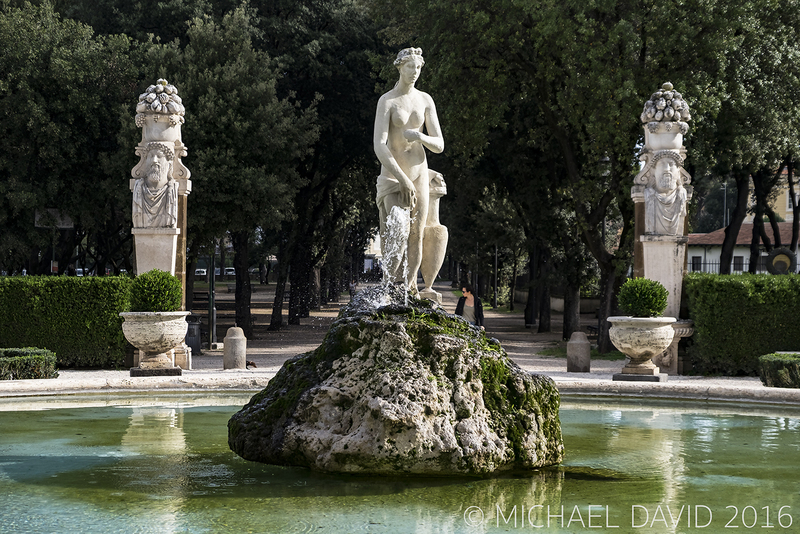 Close to the Regina’s great location are the equally impressive Borghese Gardens and Villa Borghese. Both are absolutely stunning. The gardens are huge and one can stroll for hours in relative peace and quiet. The Galleria Borghese is housed in the former Villa Borghese and contains a substantial part of the Borghese collection of paintings and sculpture. With a little judicious map-reading – Google map reading (!) 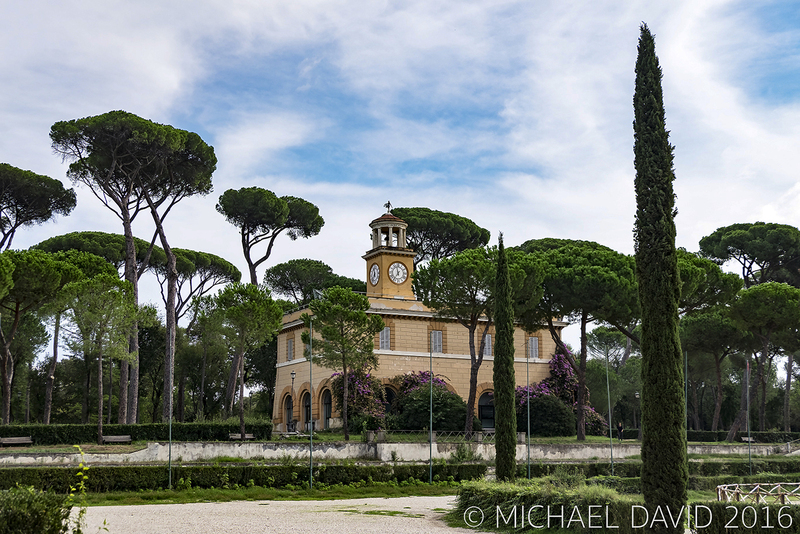 you can quite easily reach Piazza del Popolo (People’s Square) from the Borghese Gardens. This piazza is a huge and expansive square dotted with cafes and bars around it’s perimeter. And beautiful sculptures adorn one end of it – as you can see here. 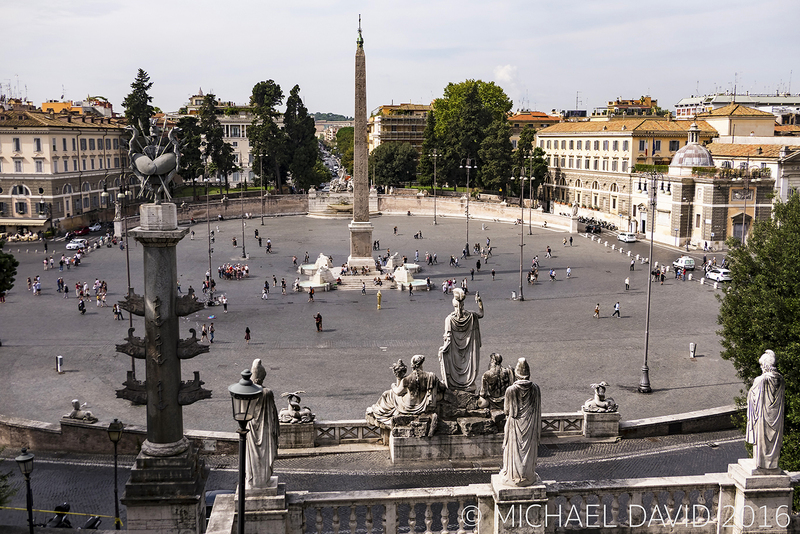 It has the second largest obelisk in Rome. 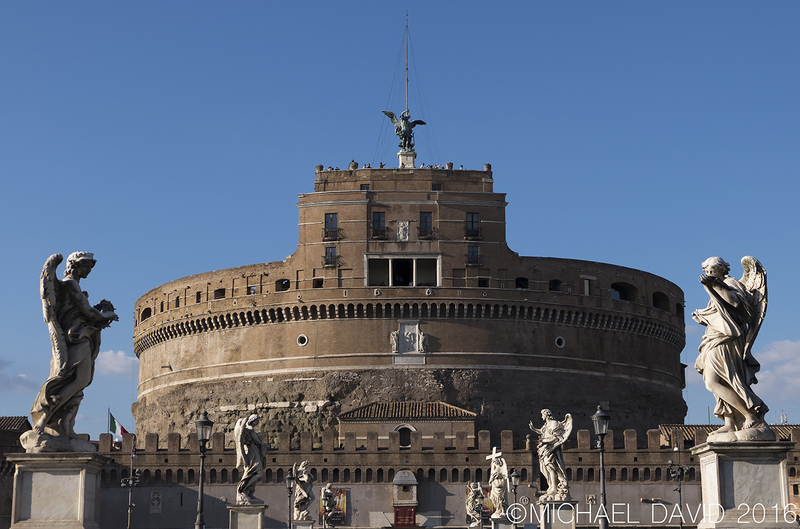 Close to the Vatican after crossing the Tiber, it is well-worth visiting Castel Sant’Angelo – it affords great views of Rome and is not as packed as St. Peter’s and its environs that are just 15 minutes away. I visited Vatican City a few times, taking different routes that took me from the Piazza Venezia near where I was staying (pretty much the geographical centre of Rome) and up to the River Tiber. Crossing any one of the ornate bridges you make your way along the Via della Conciliazione where straight ahead of you is the vast magnificence of St. Peter’s Basilica and St. Peter’s Square. 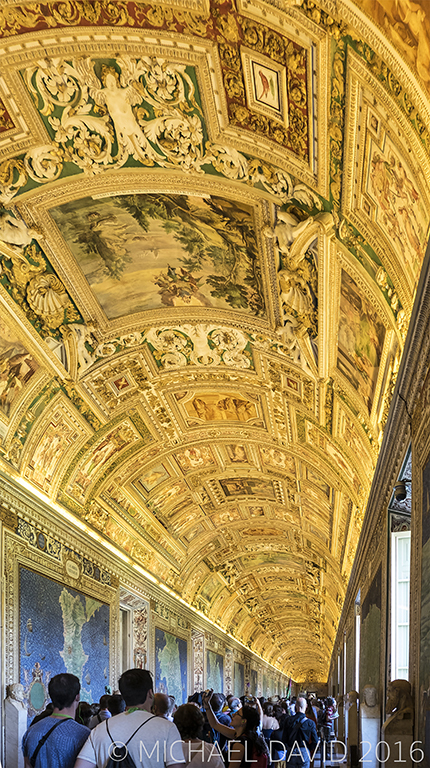 Visiting the Vatican Museums is also quite an experience and eventually you will find yourself inside the Sistine chapel. 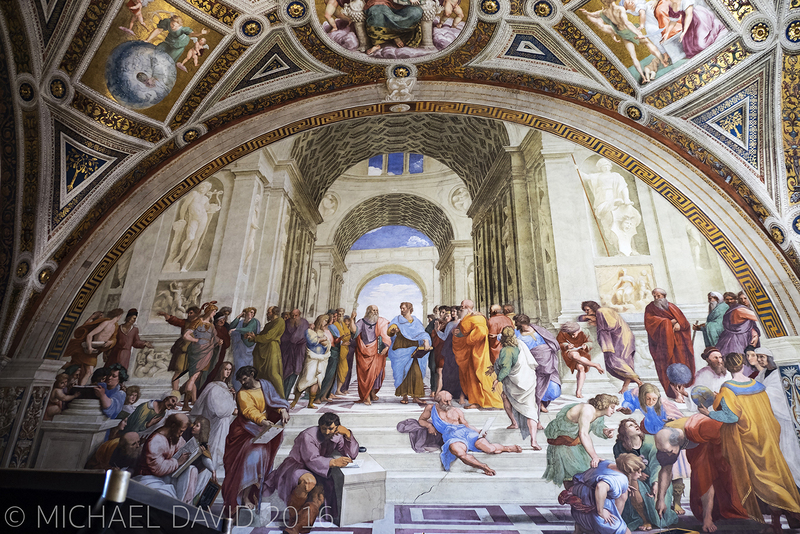 Michelangelo’s work is of course astounding – but prepare to be amongst huge crowds at all times. Surprisingly, things calm down, a little, once inside the church. 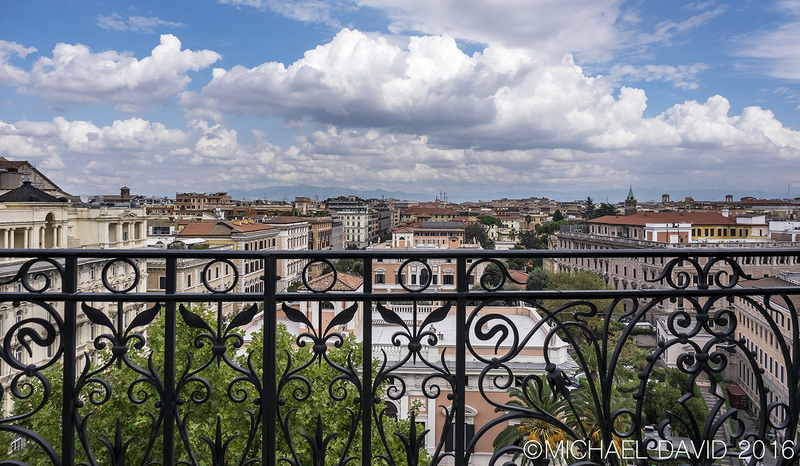 At the end of my trip, as I looked out over Rome from the top of Castel Sant’Angelo one more time, I thought to myself, “I just can’t wait to return and continue to explore this fascinating, exciting and most ancient of cities…”. Michael David is a London-based photographer who also worked in digital communications in the British government, where he was also an official photographer. This included photo shoots at 10 Downing street and Buckingham Palace. Follow him on Twitter, and view his photography at http://www.michaeldavid-photography.co.uk . You can also read his photo blogs on https://michaelseye.wordpress.com. 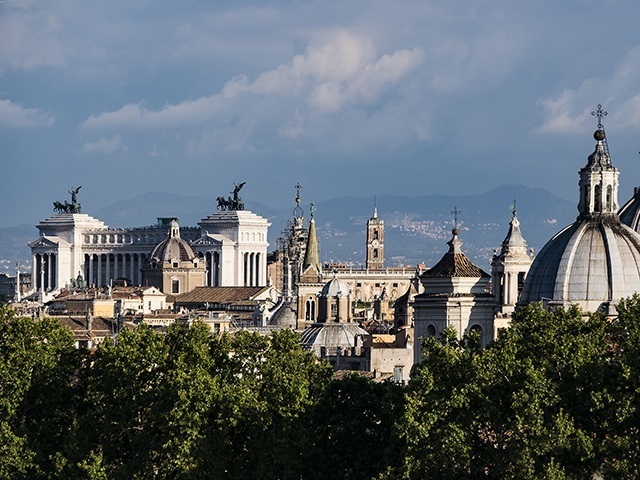 Concierge tip: While staying at Baglioni Hotel Regina why not allow our concierge to book a special Roman experience for you like an unforgettable tour aboard a vintage Fiat 500 along the streets of Rome? 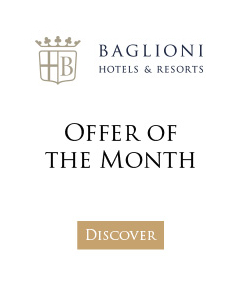 We invite you to check out our images and follow Baglioni Hotels on Instagram for more amazing photos of Italy.